The Assisted Conception Unit at Guys Hospital in the UK recently completed a study into the effect of heparin on IVF outcome. The report used previously collected data to render an overall analysis of treatment outcome. Medline, Embase and Cochrane studies were used for data collection purposes. Ten studies were found on the topic. Five of the studies were random and the remaining five were observational studies. 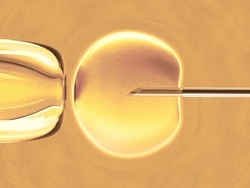 Observational studies accounted for 1,217 IVF cycles and randomized studies accounted for 732 IVF cycles. The randomized studies didn't show any difference between IVF success with or without the use of heparin, but the observational studies did show a difference. Clinical pregnancy and live birth rates in the heparin group of the observational studies were higher than the placebo group. There is no mention in the report as to why the two study types found different results. Conclusion: Researchers widely debate the role of heparin in IVF treatments. Some believe that heparin increases the pregnancy outcomes of IVF treatments and others believe there is no statistical impact. This study does not fall on one side or the other because the observational studies reported a different outcome than the randomized studies. Authors believe a large-scale is required for further investigation. Source: Seshadri S, Sunkara SK, Khalaf Y, El-Toukhy T, Hamoda H. Effect of heparin on the outcome of IVF treatment: a systematic review and meta-analysis. Reprod Biomed Online. 2012 Sep 16. pii: S1472-6483(12)00530-5. doi: 10.1016/j.rbmo.2012.08.007.